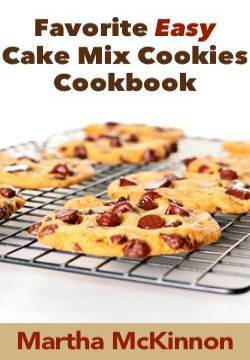 This is a fun and easy recipe for chocolate raisin cookies. We usually think about adding raisins to oatmeal cookies but don't include them as often in our chocolate cookies. Rasisins add a natural sweetness to baked treats and are a great tasting snack all by themselves. Raisins are grapes that are picked and sun dried for anywhere from three to five weeks. The exception to this is golden raisins which are not sun dried, but rather sent immediately for processing after being harvested. They are usually dipped in hot water and treated with sulfur dioxide to retain the golden color and then dried in dehydrators. Now that you know a little more about raisins than you ever cared to know, how about trying out this easy drop cookie recipe for chocolate raisin cookies! Above 3,500 feet - decrease sugar to 1 1/4 cups and decrease brown sugar to 3/4 cup. Increase flour to 3 1/2 cups and bake as directed. Position an oven rack in the center of the oven and preheat the oven to 350F degrees. Stir in flour, cocoa, baking soda and salt and mix well. Drop by rounded tablespoonfuls about 2 inches apart onto ungreased cookie sheets. 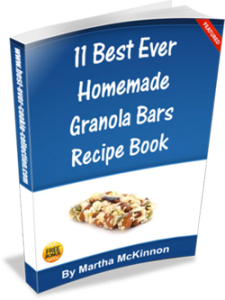 Bake for 10 to 14 minutes or until lightly set. Remove from oven and cool on pan for 1 minute. Removed cookies to wire racks to cool completely. In a medium bowl, combine the frosting ingredients, adding enough milk for desired decorating consistency. 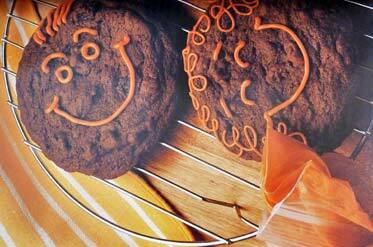 Using decorating bag, decorating bottle, plastic bag or small spoon, make smiley faces on cookies. 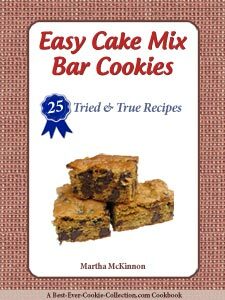 This recipe makes about 5 dozen Chocolate Raisin Cookies.